The new electric SUV, Mercedes EQC, was seen at Artipelag art gallery in Gustavsberg, Sweden only a few days ago. Daimler is planning to have up to 10 electric car variants by 2022, a target restated on Tuesday by Dieter Zetsche, CEO of Mercedes-Benz parent Daimler. He added he hopes the new electric SUV EQC and its other electric cars will account for 25 percent of its sales by 2025. In addition, the planned 10 electric variants would allow Daimler to cater to 60 percent its relevant electric cars market. According to Zetsche, Tesla would be a competitor to the Germans in the electric cars market as the company had been very successful in challenging luxury car makers that compete in the same price bracket as the upstart company. 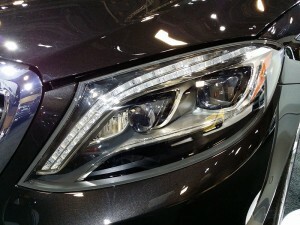 He also told reporters that Mercedes-Benz’s plans to expand its footprint in the electric car market are aggressive. Also, Zetsche did not consider any of Tesla’s three current models as a direct competitor to the EQC. However, the EQC’s estimated electric range is below that of the base version of the Tesla Model X, which has an EPA-rated range of 237 miles. As performance, the EQC’s zero-to-60 time of 4.9 seconds matches the Model X.